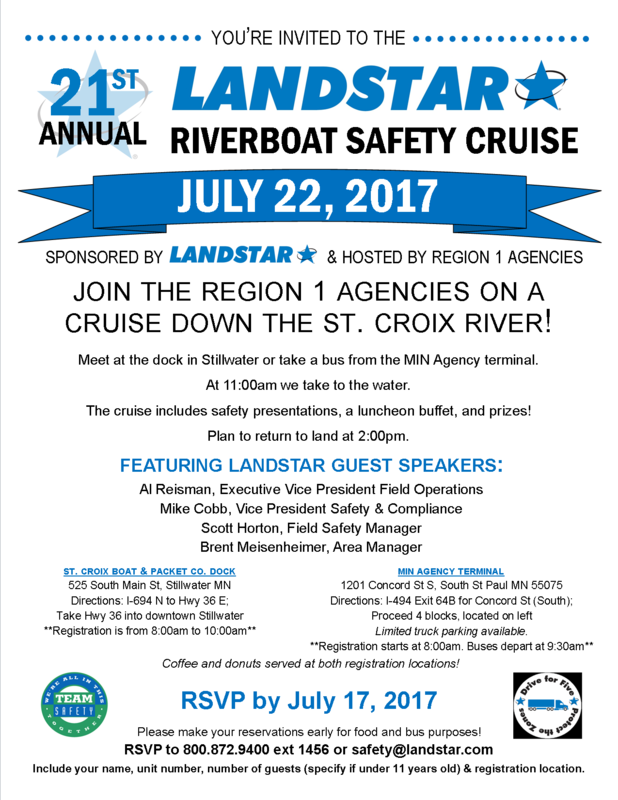 The 21st Annual Landstar Riverboat Safety Cruise will be held Saturday, July 22nd. This event is open to all Landstar BCOs and their families. To see pictures of past Safety Cruises, visit our Facebook page. We'll see you on the boat!